This is about as lopsided a 1-8 matchup as you can get – the team with the best regular season record in the NBA will host the team with the worst record in the playoffs. You’re here, so I’ll analyze it anyway. The Bucks dominated during the regular season, as they dominated most teams. Not too much to read into here. This is pretty simple: Giannis is clearly one of the best 3 players in the league today. People can forget, though, that he’s never won a playoff series in his career. The Pistons have nothing close to the perimeter defenders Boston threw at him last year, though. Giannis should be a wrecking ball on both ends. It seems simple for the key matchup to just be each team’s best player, but in this case, not only do they play the same position, but the drop off in playmaking for the Pistons after Blake is so stark that if Giannis can shut him down, Detroit may struggle to put up 80. Blake isn’t healthy, and it was to the extent that he didn’t play in a playoff-clinching game 82 this week. Coach Bud is the favorite for Coach of the Year this year, and he’s earned the recognition. Making a bad team mediocre is impressive, but making a good team great is a challenge all its own. The Bucks had a -0.3 Net Rating a year ago (20th in the NBA); they were +8.5 this year (1st). Bud has put his players in position to succeed all year long, and last year’s Coach of the Year in Dwane Casey can’t compare. 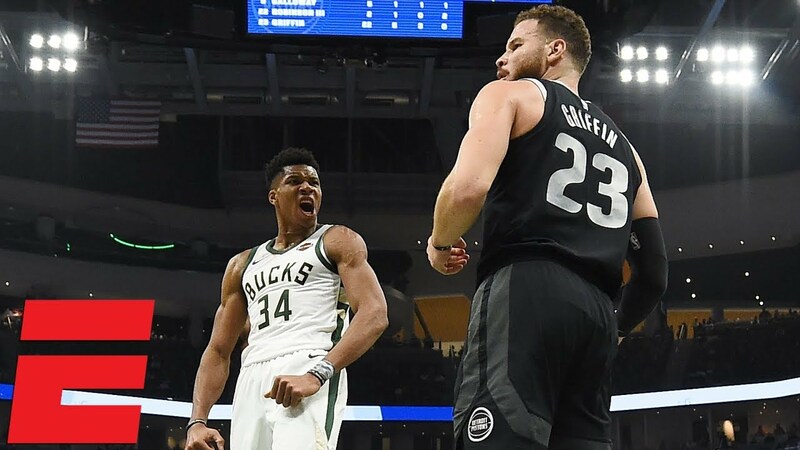 100% Guaranteed Result: The Bucks are the better team in every facet of the game, they have the best player, the better coach, home court, and are hungry after going down round 1 a year ago. This has all the makings of a sweep. The Magic are back in the playoffs for the first time since 2012, and the Raptors are a familiar face with a brand new makeup. Orlando matched up surprisingly well against Toronto in the regular season, though in each of their wins Toronto was missing one of either Kawhi or Kyle Lowry. The reason the Raptors traded for Kawhi Leonard is finally here. There are 396 players with over 1,500 minutes in the postseason. 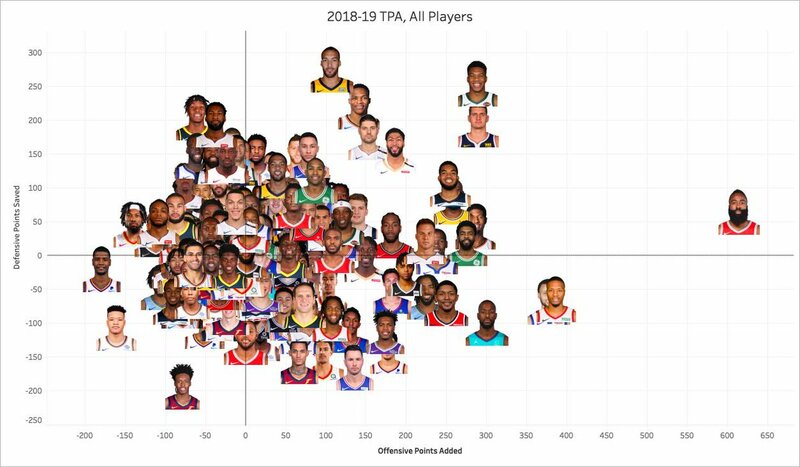 Nikola is clearly the Magic’s best offensive option, as the All-Star and Most Improved Player candidate can do a lot of things offensively from a shooting (36.4% from 3), post-up (top 10 in post up frequency this season), and passing (4th in assists per game among centers) perspective. 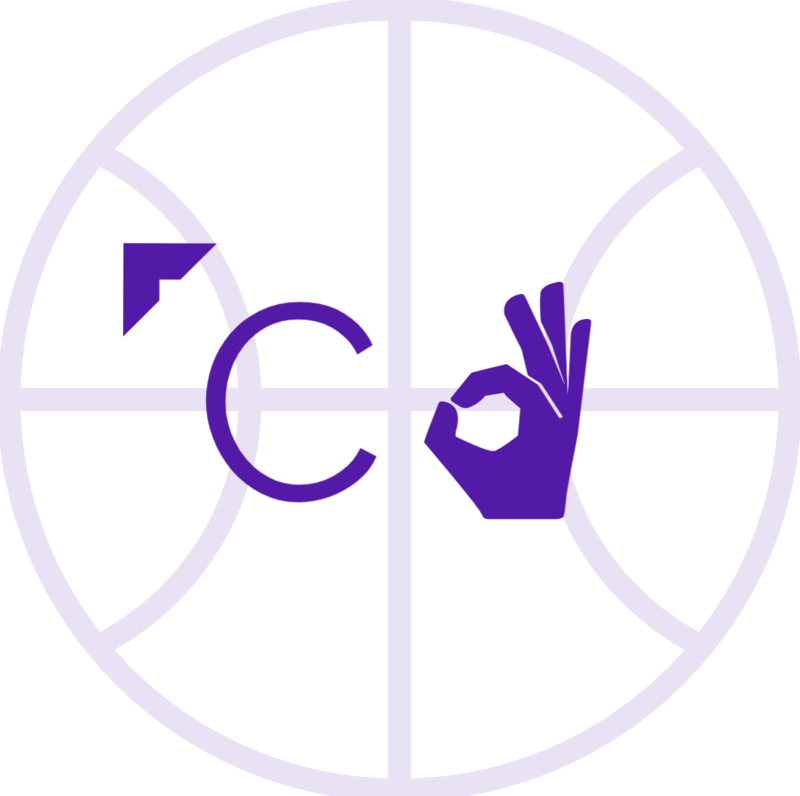 However, the Raptors may have his kryptonite in Marc Gasol, who’s a big, strong, and smart defender whose quickness deficiencies shouldn’t show up against Vucevic’s style. Nick Nurse has had a great rookie season, but what Steve Clifford has done with this Magic team (8th in defensive rating this season without a true rim protector, and while starting DJ Augustin at point guard) is worthy of Coach of the Year discussion. Clifford will have his hands full with this matchup, but will do all he can to give his young team an edge. 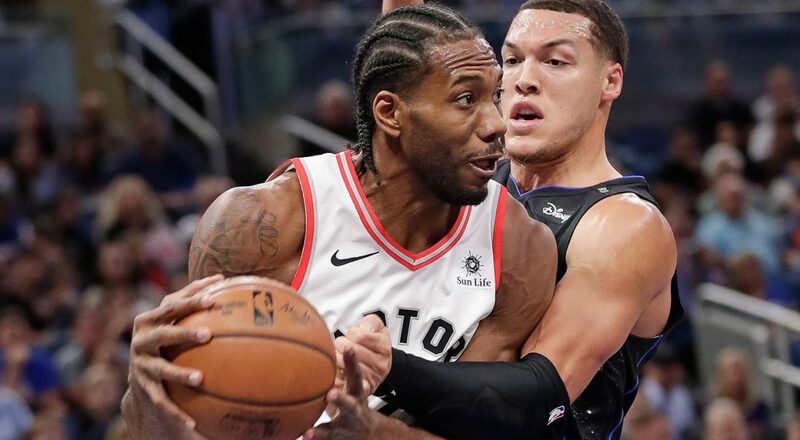 100% Guaranteed Result: The Magic are good enough defensively to steal a game in Orlando, but they won’t be able to keep up with Toronto in the points department. After some long years toiling in the lottery (without lottery picks), the Nets are back in the playoffs to face what may be the final form of The Process. People may be surprised to see how well the Nets played the Sixers in the regular season considering the disparity in team quality, but the extent to which the Nets’ strengths match up with the Sixers’ weaknesses could be cause for some concern. More on that in a bit. I’m confident in saying this, and I’m sure most of you won’t agree. But Joel Embiid’s recently uncertain health and Ben Simmons’ tailor-made game for scheming against in the playoffs (as the Celtics did with ease a year ago) tell me that Butler, a still-excellent defender who can score in isolation (2nd this year in points per possession in iso), could be the biggest factor for Philly in this battle. The Sixers are big. Very big. They start a 6’10” point guard and have Joel Embiid. That helps in almost all areas of basketball except one – slowing down quick point guards. The Nets’ best player happens to be just that, and I see Russell being able to get into the lane at will against Simmons (and definitely JJ Redick). If Embiid isn’t himself on the interior, the Sixers may have a problem on their hands here. Atkinson has done a great job this year with limited talent, and I think he’ll be able to employ his bench depth to take advantage of the Sixers’ big drop off after their starters. Yes, depth tends to matter less in the playoffs, but with Embiid potentially not 100% and JJ Redick probably unable to play 36 minutes of high intensity playoff basketball throughout this series, it could come into play. 100% Guaranteed Result: The Sixers’ bench is so bad, their stars so unproven in the playoffs, and their guard defense so poor, I think the 36.2-win TSP Nets actually grab a couple of games here. The top-end talent, though, not to mention home court, will be too much for Brooklyn to overcome. The Pacers are without their best player in Victor Oladipo, but the Celtics have been out of sorts all season – will they flip the switch? Boston did what it had to do in the regular season, including a big win last week to essentially clinch home court in this series. Not much to say here. Kyrie’s done it at a career-best level this season, and he’s a proven playoff commodity. Myles Turner is one of the best rim protectors in the league, leading the NBA in blocks per game this season. But Al Horford is the exact type of player to neutralize that rim protection with his three point shooting and passing ability. Will Turner be able to have much of an impact in this series? Stevens has had a tough go of it this year in the locker room, but he’s still likely a top-5 Xs and Os coach, and over the course of a playoff series with the number of adjustments made, I give him the edge even after a nice year from Nate McMillan. 100% Guaranteed Result: For all the drama this season in Beantown, their talent up-and-down the roster is simply better than Indiana’s, and without Victor Oladipo, the loss of Marcus Smart shouldn’t hurt too much in this matchup. Combine that with home court and one of the best bucket-getters in the playoffs, and the scrappy Pacers won’t push this series to the limit. 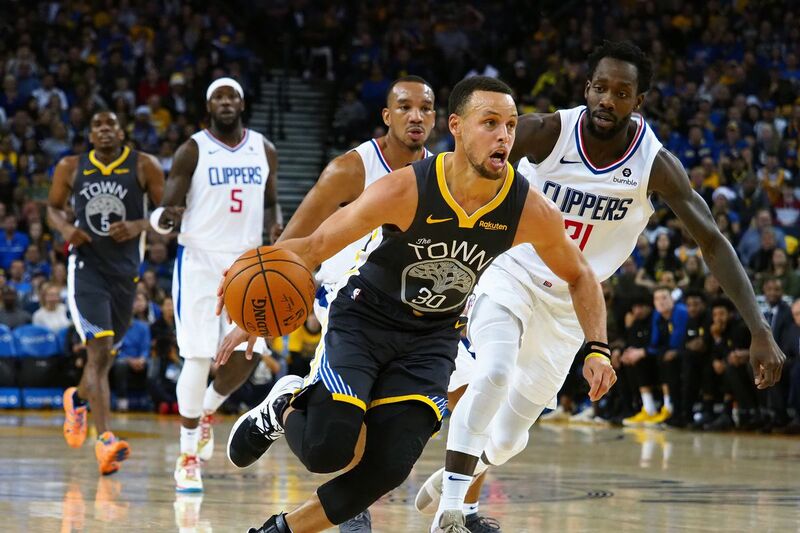 The Clippers didn’t expect to be here after trading Tobias Harris, but they find themselves in the – precarious – position of a road series against the champs. Can they win… a single game? Not much to say here. The Warriors tend to win their regular season series. You can take your pick here between KD and Curry, but I think Durant has shown himself to be a better playoff player. Teams don’t attack his defense and he’s more versatile on offense – not that it will matter much in this series. Gallo is the best the Clippers’ starting lineup has to offer, but he may have a tough go of it against the perimeter defense of Durant and Thompson. He’ll need to be at the very top of his game all series long for the Clippers to make this interesting. Doc Rivers has had a great year with a melting pot of average to above average players, but Kerr has been here in the playoffs, recently, with this exact roster, and knows how to push their buttons come this time of year. I think he’ll have more tricks up his sleeve than Rivers. 100% Guaranteed Result: The Warriors might look at this series like a slate of preseason games. FiveThirtyEight actually gives them a >99% chance to win. I think they’ll rest up for the next round, and a Lou Williams 40-spot in LA is enough for one glorious victory. The Spurs are as vulnerable as they’ve been in decades. The Nuggets are as good as they’ve been in decades. Will everything go as planned? These teams were pretty evenly matched in the regular season despite their seeding disparity. How much of a predictor will those few games be, though? Jokic is an MVP candidate and the clear-cut best player in this series. He’s a basketball genius offensively who can shoot like a wing, post up like a 90s big man (5th in points per possession out of the post), and pass like Steve Nash (with the most assists per game for a center in NBA history). His defense is probably underrated considering how often he’s in the right place at the right time and get deflections. How the Spurs deal with him is the only question that really matters in this series. Aldridge is still an excellent player, who can raise a team’s floor on both ends of the court. It might be hard for him to protect the rim against Jokic, though, as his shooting and playmaking force opposing centers to get out in space. I see this matchup as a very bad one for Aldridge, but it will be interesting to see how Gregg Popovich decides to approach it with multiple chances for adjustment over the course of the series. Pop is still the best coach in the league, and though he’s had limited playoff success of late, it’s far more than that of Mike Malone. Pop is probably the only reason anyone would pick the Spurs in this matchup for a 48-win team on the road against a 2 seed. 100% Guaranteed Result: The Spurs play hard and have a great coach; the Nuggets are young and unproven with the type of star that hasn’t yet proven successful in a playoff series. Still, they’re too athletic for San Antonio, and match up extremely well against the Spurs’ two best players. I don’t think Pop and co. can outrun them with 4 games in the Mile High. The Thunder have quietly been awful for the past few months, while the Blazers lost a star center to gruesome injury. Both had embarrassing stints in the playoffs a year ago. The series cannot end in a tie. Oklahoma City took this matchup pretty handily during the regular season, though the games were close with one going to overtime. OKC also steamrolled just about everyone in the early goings of this season. Another controversial pick. I think Paul George in a vacuum is probably the guy I’d most want, but with how unhealthy he’s looked recently, I think Dame can more than close the gap. He’s been incredibly underrated of late – 1st team All-NBA last year (likely 2nd this year, though I feel he deserves 1st again) and the best point guard in the NBA by WAR, he’ll be extra motivated to show last year’s playoff dud was a fluke. You could go either way here, though. Stopping Paul George is priority one for the Blazers in this series, and it’ll be mostly tasked to Harkless, who is a solid but not elite wing with good size. If George’s struggles continue, the Blazers may be able to attack his weaknesses. Despite last season’s disappointment, Stotts is an excellent coach who knows how to put his guys in the right positions to succeed both on and off the ball. I think he can get the Blazers enough offensively with Kanter, and minimize Kanter’s defensive deficiencies against a Thunder team that lacks the shooting (bottom-9 this season in 3PT%, and bottom-6 since the All-Star break) to optimize a spread pick-and-roll. 100% Guaranteed Result: I know, I know. The Thunder swept the season series. Enes Kanter is an opposing starter. I just can’t get over the combination of OKC’s recent incompetence (-0.8 net rating since the All-Star break) and Paul George’s shakiness since returning from injury (40% from the field, 34% from 3 since the All-Star break), and the icing on the cake is the fact the Blazers have this series at home. These teams met in the playoffs last year, too (the Rockets won 4-1), but under very different circumstances. Virtually the entire Rockets roster outside of James Harden is weaker, while the Jazz have had incremental improvements in multiple places. Will it be enough to swing the series? These teams will make it a battle, if their regular season series says anything. They’re very evenly matched, with a mediocre offense against a mediocre defense when the Jazz have the ball and an elite offense against an elite defense when the Rockets have it. Clint Capela has had a down year after being an instrumental part of Houston’s run to the 1 seed a year ago. His switching on defense and finishing on offense have both suffered. In Rudy Gobert, Capela can see exactly the type of player he hopes to become – a rim-running, paint-protecting star who is incredibly efficient on offense and absolutely changes the game on defense. It’s pretty wild to see their closeness in box score stats be absolutely shattered when it comes to WAR. Capela may have his hands full with Gobert, but he has the talent level to stick with him. Mike D’Antoni is an excellent coach, too, but I personally more value a coach that can design an elite defense than one who can design an elite offense (though each coach has a linchpin with Harden and Gobert, respectively). Quin had a tough time getting his team points last year against Houston’s switching system, but with the Rockets’ personnel either gone (Mbah A Moute, Ariza) or not as effective as last year (Eric Gordon, Chris Paul), Snyder will have plenty of tricks up his sleeve to get Donovan Mitchell a head of steam toward the hoop. 100% Guaranteed Result: I love this Jazz team. They have the second-best net rating in the entire NBA since the All-Star break. Unfortunately for them, the Rockets have the best. 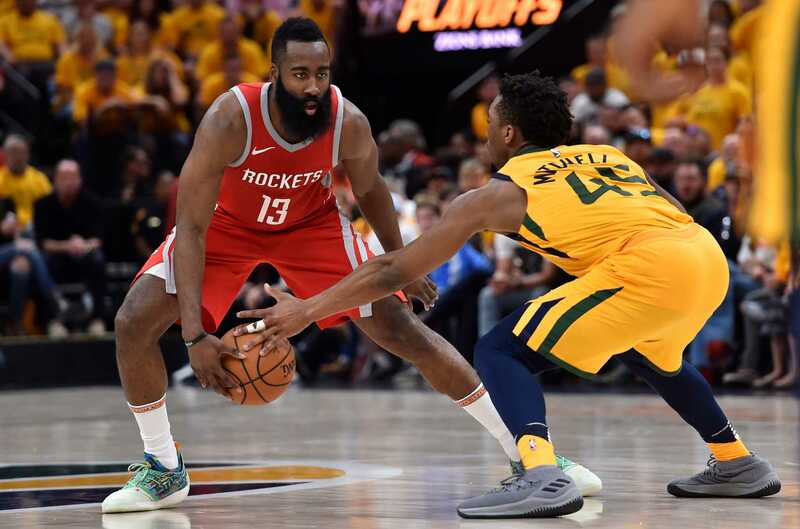 Utah’s top-ranked defense will make this series the best this first round has to offer, but I don’t see them being able to match James Harden punch for punch when the game slows down.